You’re on a crammed city bus. People are holding bags and various other items, and everyone is jostling for position. During rush hour most bus passengers are standing. If you’re lucky you’re within reach of a pole or strap. Meanwhile, the bus driver is navigating rush hour traffic. 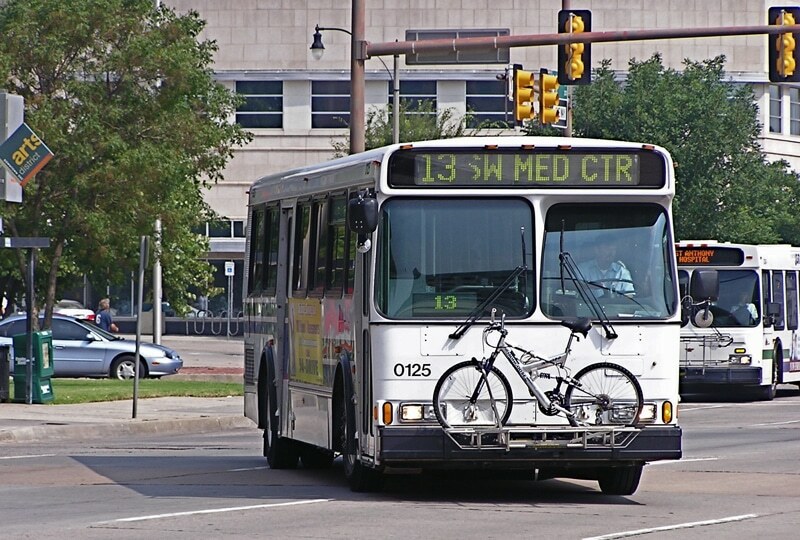 Sudden stops are to be expected, especially if another vehicle cuts off the bus. Given all of this, it’s not surprising that injuries on public transit sometimes occur. Consider a specific example. Let’s say you’re standing on a bus when another vehicle cuts off the bus. The bus driver slams on the brakes. Unless you’re standing near the front and have a clear view out the windshield, the sudden braking will come as a complete surprise. Despite your best efforts, you might fall and sustain an injury. It could be a serious injury, especially if you hit your head. What happens if you are hurt in such a situation? Do you sue the driver? Do you sue the transit authority? Are you unable to sue if you don’t know the identity of the other driver that caused the accident? Rest assured that you do have recourse, even if you don’t know what vehicle caused the accident and didn’t see what caused the sudden braking or swerving. Also, you won’t be suing the bus driver personally, even if his or her driving errors caused your injury. At the outset it will likely be unclear whether the bus driver or the other vehicle was at fault (or it may be that both were partially at fault). If it seems the bus driver was at least partially at fault then you will likely be suing the City. That’s because, at least in Calgary and Edmonton (and with most cities in North America), the City owns and is ultimately responsible for all public transit vehicles. If another vehicle was involved and might be at fault, then you will also be suing that driver’s insurer. What if that driver is uninsured, or you don’t know the identity of the driver because he or she leaves the scene? In that case, you will be suing the Administrator of the Motor Vehicle Accident Claims Act as the nominal defendant. (This applies to Alberta and many other provinces.) That’s because Alberta and many other provinces have a designated fund to compensate those injured by uninsured or unknown drivers. This blog entry has more information about suing uninsured and unknown drivers. You will have two key sources of evidence to prove that your injuries were caused by the bus driver’s or another driver’s actions. First: witnesses. Unless you were the only passenger on the bus, other passengers should be able to confirm that the bus stopped or swerved suddenly and that you fell as a result. Secondly, at least in Calgary, transit buses typically have internal as well as external cameras. You or your personal injury lawyer can request the footage from those cameras by submitting a ‘FOIP’ request to the City. Information on how to do that in Calgary is found here. Every situation is different, so if you have been injured while taking public transit and have questions about your legal rights, contact a personal injury lawyer.